Enlarge This particularly attractive and efficient series of PA speaker systems is clearly designed for effective fixed installations, whether in restaurants and bars, hotels, for background PA applications at sport facilities, PA applications in adjoining rooms at discotheques or at conferences: these PAB speaker systems offer a perfect price-performance ratio and a high quality. 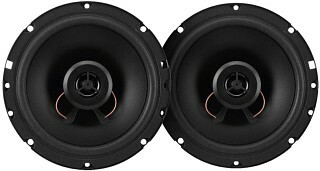 Due to the availability of the PAB-416/... speaker systems in 16 Ω, too, up to 8 speaker systems can be driven at one 2-channel standard amplifier with 4 Ω stability by basic parallel connection! 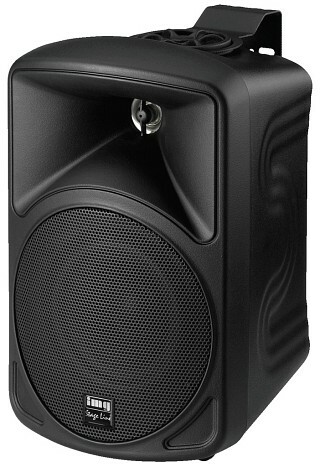 2-way speaker systems in an ABS cabinet which is both functional and at the same time of an attractive appearance (PAB-88 and PAB-68 in a bass-reflex cabinet), polypropylene bass speaker (partly with ventilated drive) and dome tweeter with horn front attachment (waveguide). 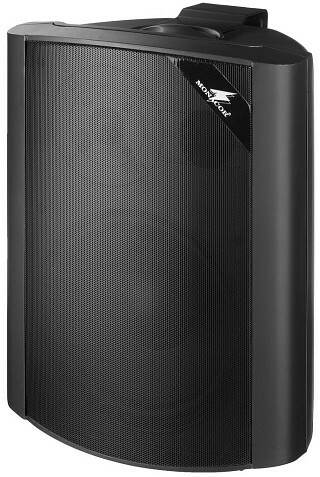 Enlarge Enlarge Enlarge Kick bass speakers which perfectly combine a modern finish with the application of approved and optimised materials. 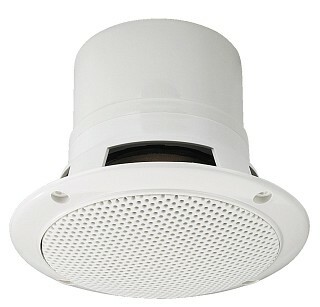 The design of the polypropylene cones are of a special structure, giving the highly dampening, moisture-proof material also a better stability. 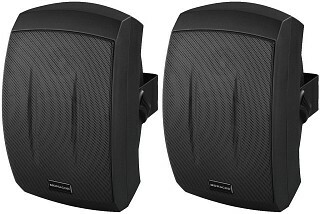 Enlarge Pair of flush-mount speakers, with dual cone, 4 Ω.
Enlarge Series of Chassis Speakers for Car Hi-fi Applications With high-quality carbon fibre cone in stable standard baskets. 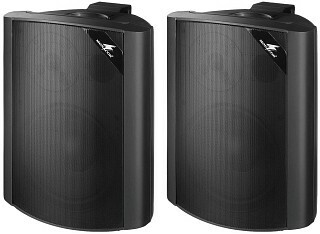 These speakers impress by a bass reproduction of amazingly low fundamental resonance which makes them an ideal replacement for original equipment. 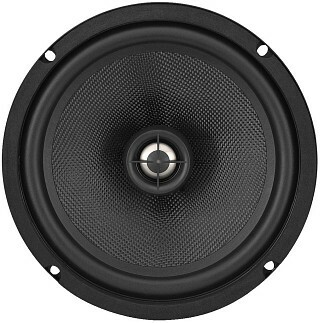 The sound can be improved considerably without necessarily having to use subwoofers and power amplifiers. 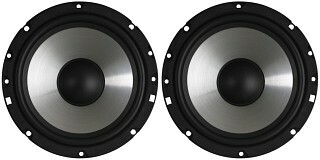 An efficient application in more complex car hi-fi systems of high power capability is also possible, of course. 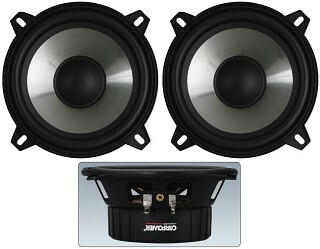 Enlarge Extensive series of 2-way coaxial car chassis speakers with polypropylene cone. 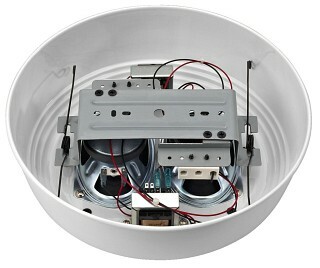 This series contains various basket designs, which enable an assembly in most existing vehicles without any difficulties. 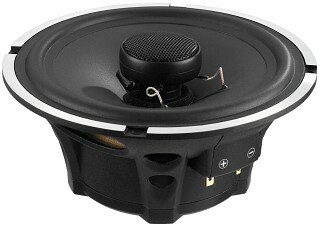 The workmanship and the sound experience are of high quality. 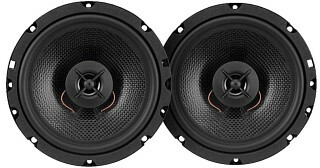 An optimum result is achieved by replacing original equipment with these speakers. 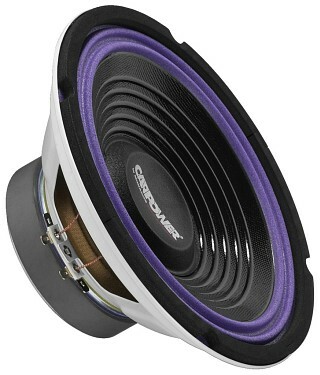 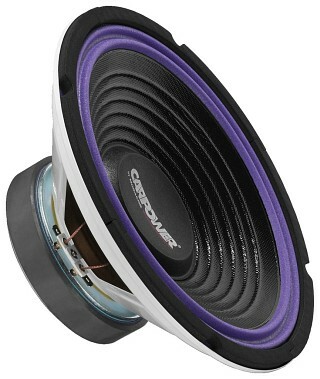 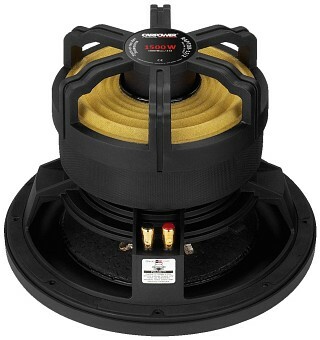 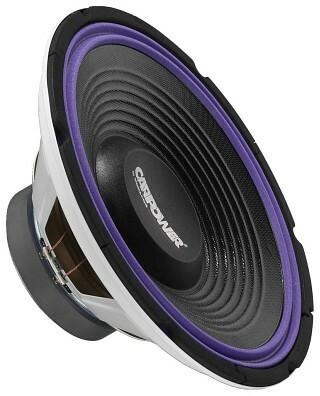 Enlarge Enlarge This CRB coaxial speaker from CARPOWER is a real highlight. 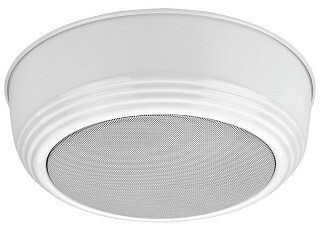 A phenomenal workmanship and the extensive material used, especially at the basket, are not the only features to be mentioned. 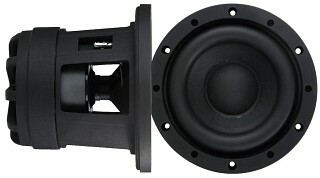 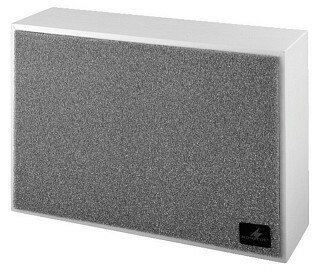 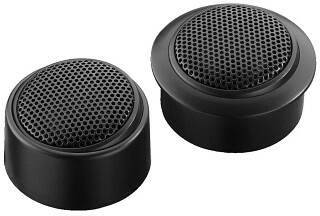 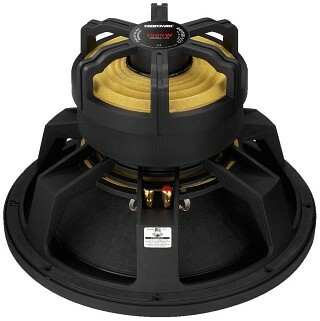 In addition to the extra high-quality appearance, this system also convinces by the very good radiation, which is achieved by the special cone material as well as the large-sized silk tweeter of extra high quality which is used instead of the mylar mini tweeter usually applied in this price class. 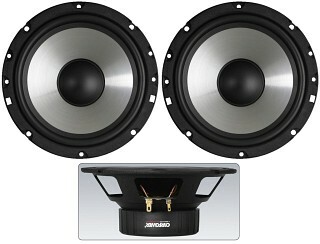 Enlarge Pair of flush-mount speakers, coaxial system, 4 Ω, tweeter with ferrofluid. 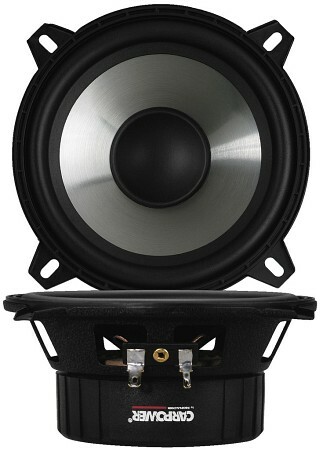 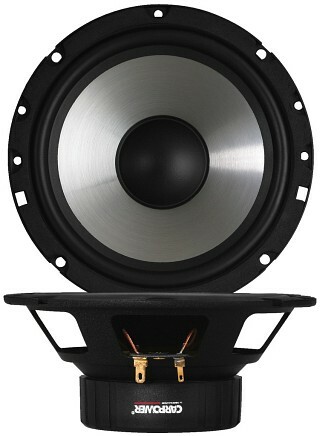 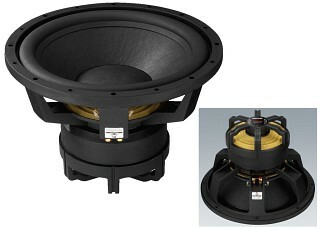 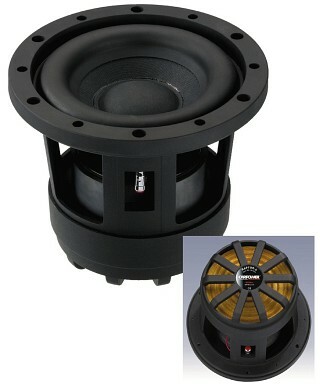 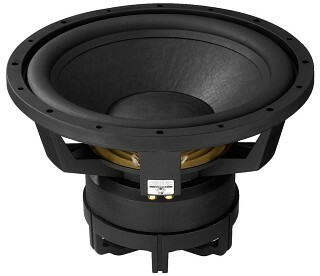 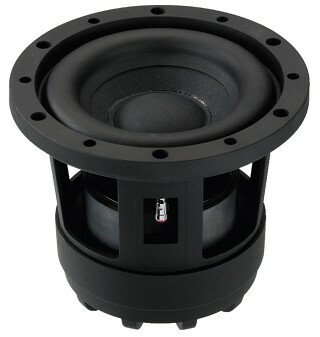 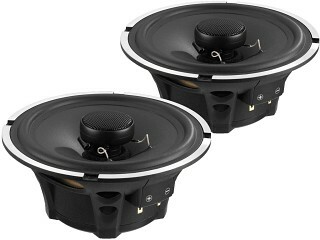 Enlarge The Tweeter for Perfect Car Hi-fi Applications: DT-284 "The Dome". 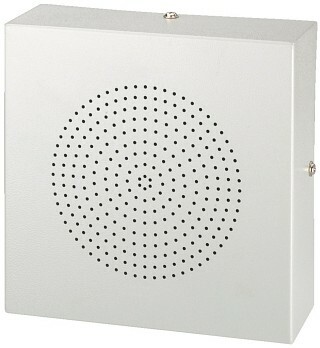 This tweeter provides everything expected from a top class tweeter: a sensationally linear frequency response, high level reserves, low crossover frequency, compact size and a distinct and appealing design! 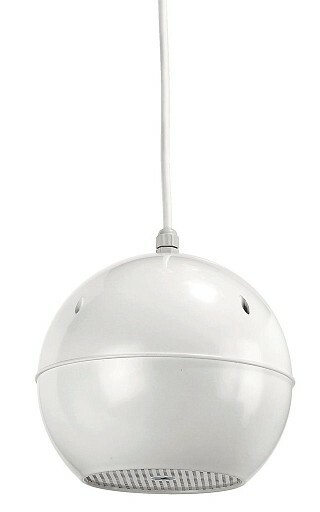 Enlarge Enlarge Enlarge Enlarge Enlarge Enlarge "The Dome" Now Available in Two Versions! 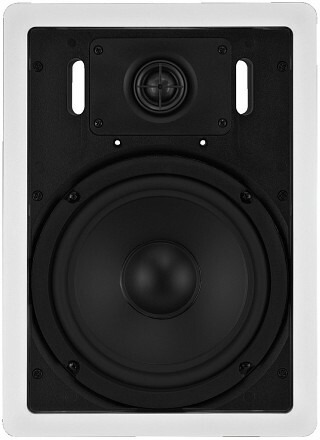 In the last few years, the DT-284 has achieved quite a reputation as THE price cutter among the high-end tweeters. 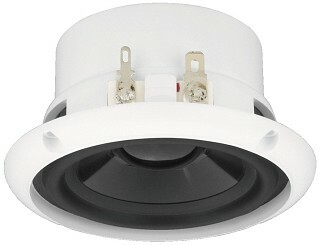 By popular request, this convincing tweeter is now also available as a screwable DT-284S version which is particularly easy to install. 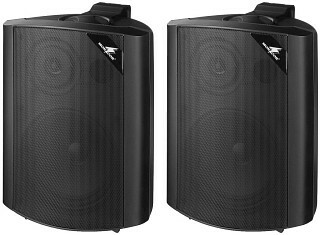 Enlarge Enlarge Enlarge Enlarge Finest Kick Bass Speakers. 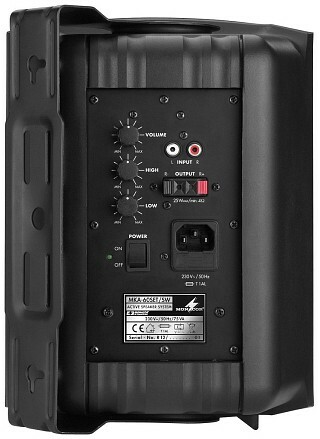 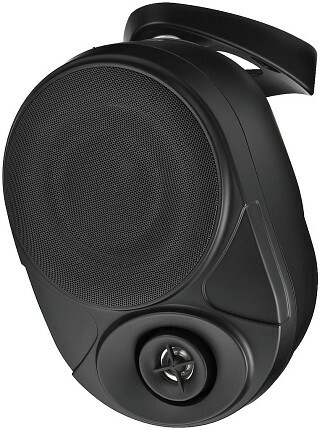 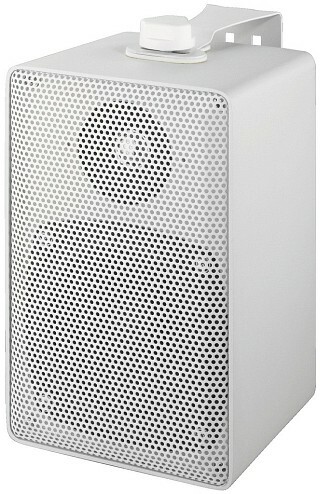 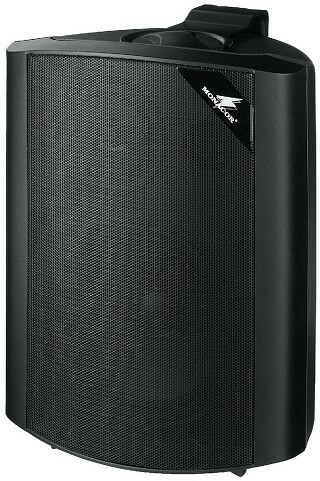 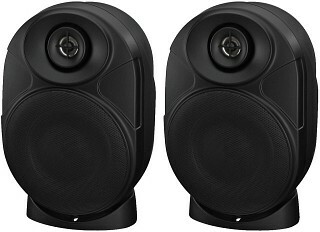 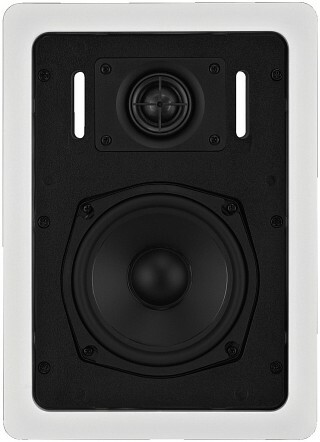 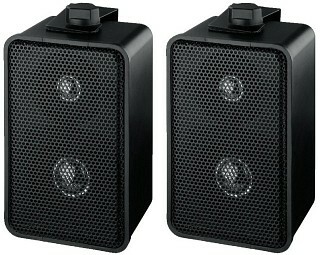 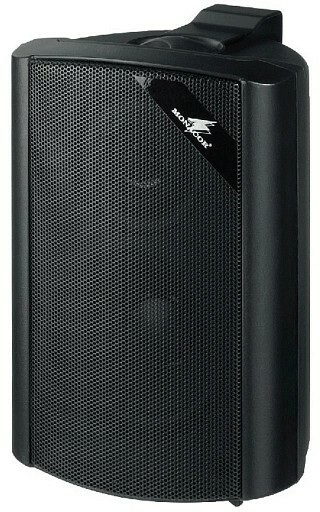 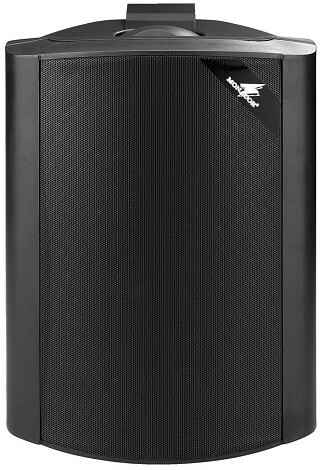 The PREDATOR-6 speaker which also performs well in the midrange (e.g. 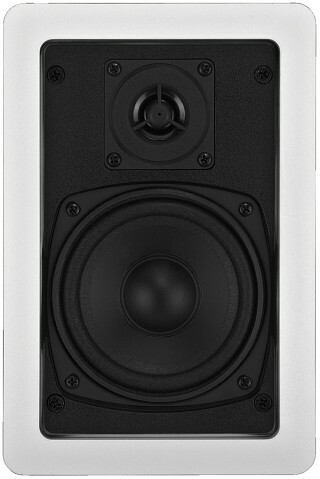 combined with DT-284). 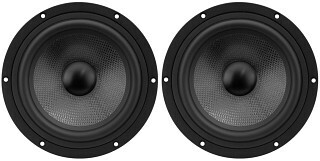 There are hardly any comparable products available in the ideal application range of above 60 Hz or 70 Hz. 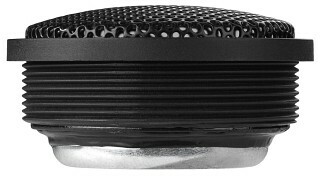 Enlarge Enlarge Enlarge The RAPTORs are now also available with 2 Ω technology. 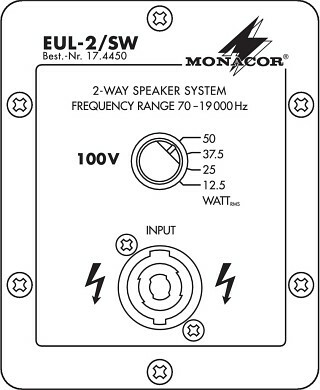 This means a further enhanced performance when combined with efficient 2 Ω stable power amplifiers or with 1 Ω stable power amplifiers in parallel operation. 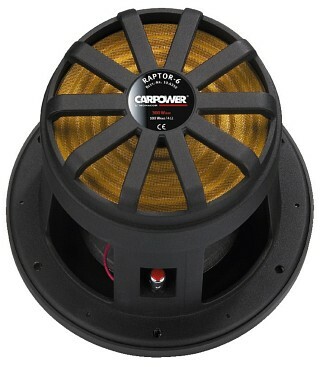 These RAPTORs get the most out of your amplifier. 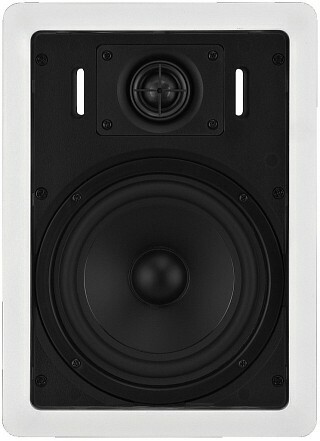 Enlarge Enlarge Enlarge Enlarge Enlarge Enlarge Now you have no more excuses! 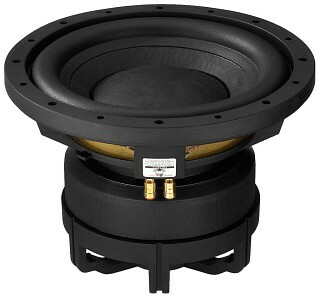 With the RAPTOR-6, the smallest RAPTOR, it is possible to build a subwoofer which also deserves to be called subwoofer into a small car just as well as in an original sports car! 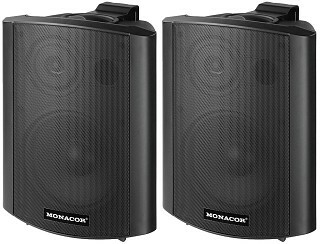 Surely, one or two of these 18cm bass speakers do not make a boom car, but it is absolutely amazing what this speaker is capable of! 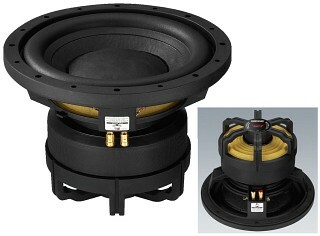 Enlarge Perfect Car Hi-fi Subwoofers for Free Air Applications. 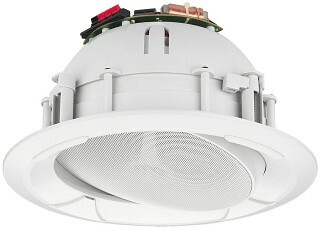 Coated paper cone with reinforced rings and long excursion surround of special design. 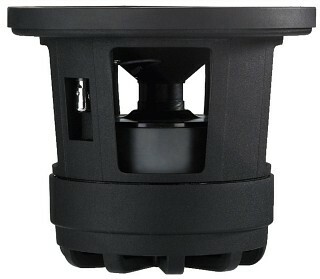 Magnetic systems with a high drive power and far protruding lower pole plate ensure an exceptionally high excursion accordingly. 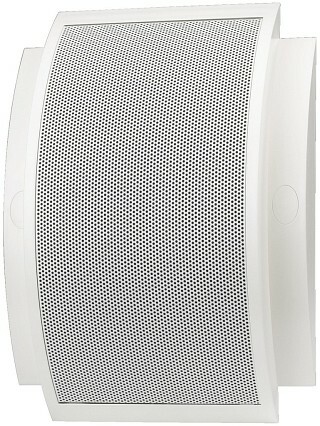 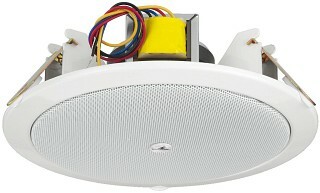 Enlarge Enlarge PA ceiling speaker, with additional integrated tweeter. 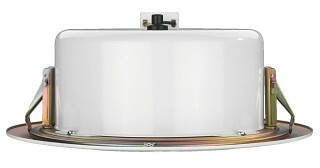 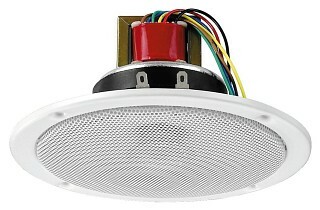 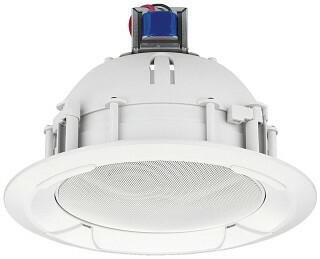 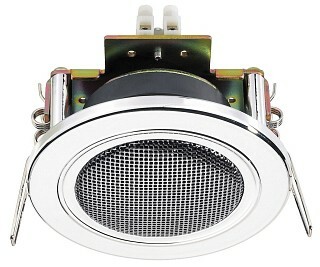 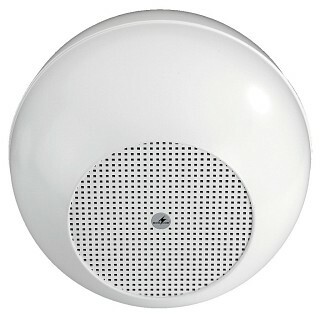 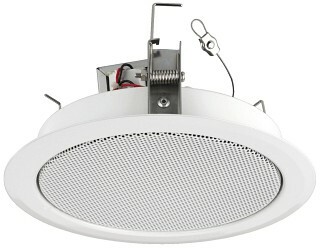 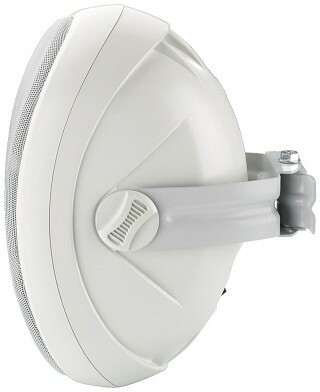 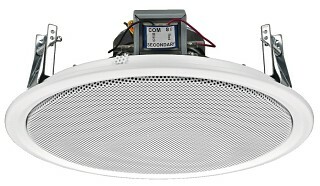 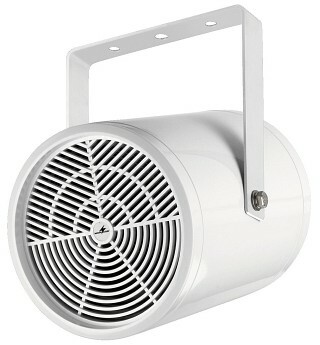 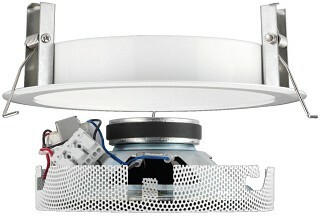 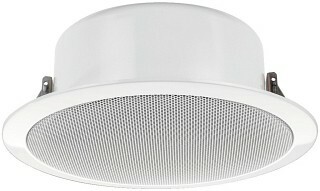 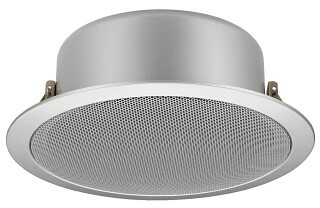 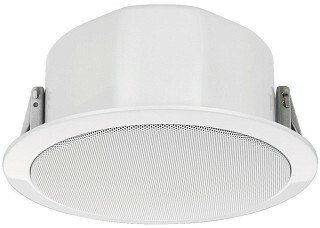 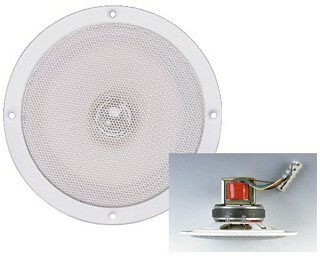 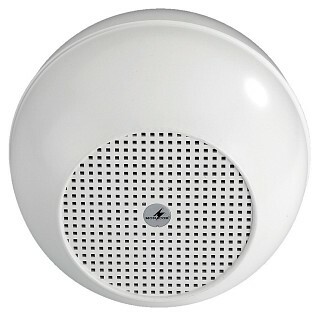 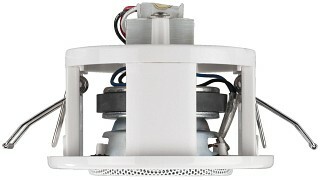 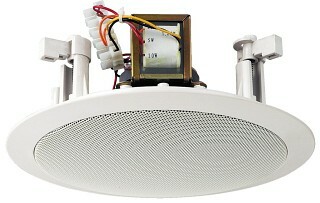 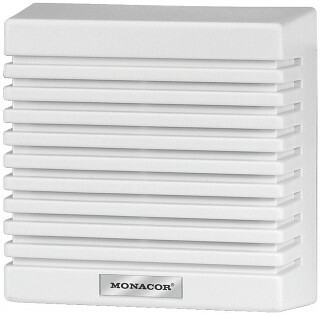 Enlarge Enlarge Weatherproof PA ceiling speaker, heat-resistant up to 100 °C. 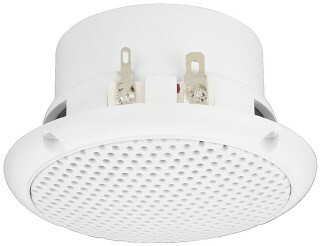 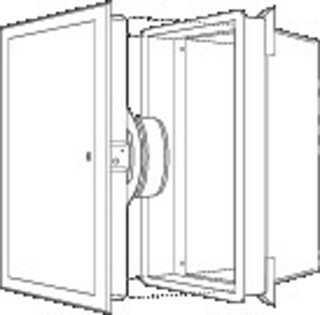 For applications in saunas and swimming pool areas. 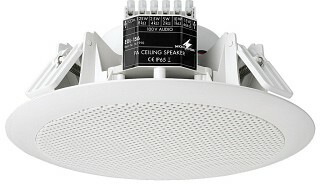 Enlarge Enlarge Special speakers which show completely new ways of invisible PA applications: the super dispersion ceiling speakers effectively utilise an open baffle technology for PA ceiling applications. 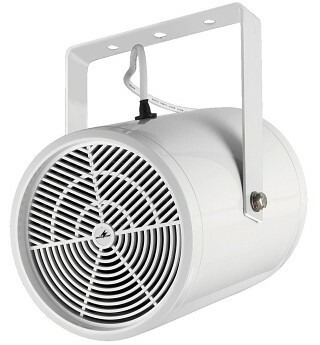 Enlarge PA ceiling speaker, for a high safety level in case of a fire. 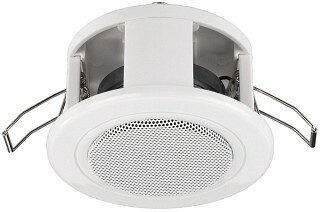 Enlarge Enlarge PA ceiling speaker, for a high safety level in case of a fire. 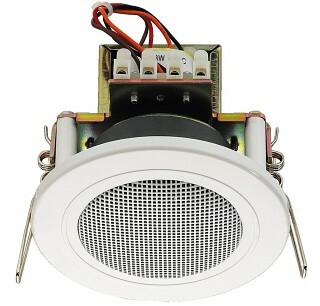 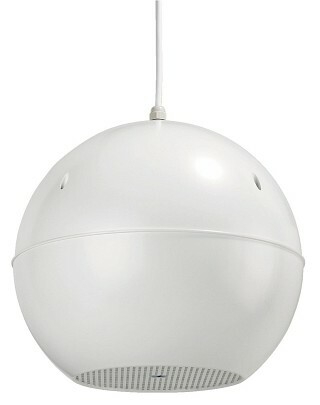 Enlarge Top-quality PA ball speaker, with a perfect omnidirectional sound radiation. 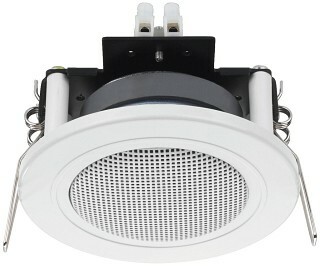 Enlarge Enlarge PA ceiling speaker, with EN 54-24 certification. 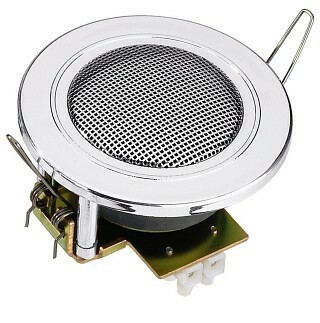 High power rating with 30 W max. 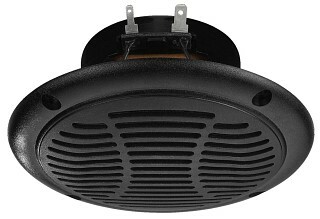 Enlarge Enlarge Enlarge PA ceiling speaker, with special 2-step mounting. 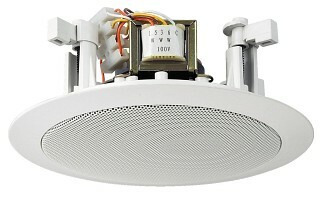 For mounting this PA ceiling speaker, the mounting frame is attached to the ceiling cutout at first via the snap-in system. 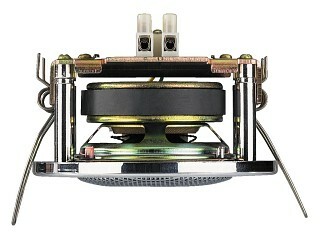 Then, the speaker is inserted into the frame with a bayonet-type locking. 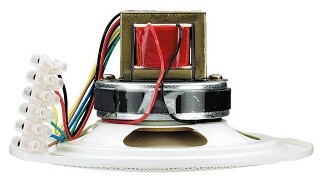 A safety rope provides additional safety. 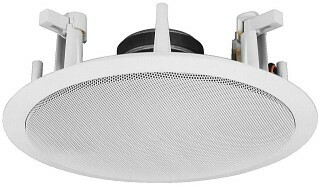 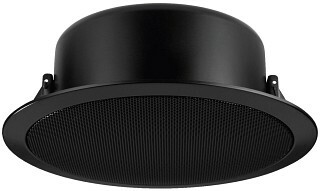 "... an easy-to-use ceiling speaker at a very favourable price ..., already suitable for music reproductions of high requirements, too." 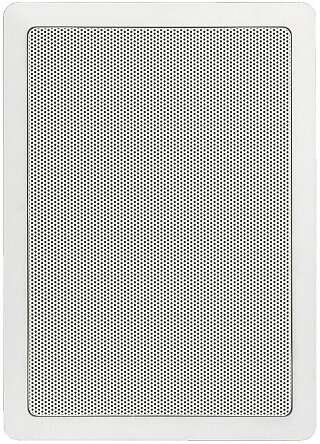 Enlarge These wall speakers impress by an extraordinarily flat design which is only achieved by applying the latest NEODYMIUM magnetic systems. 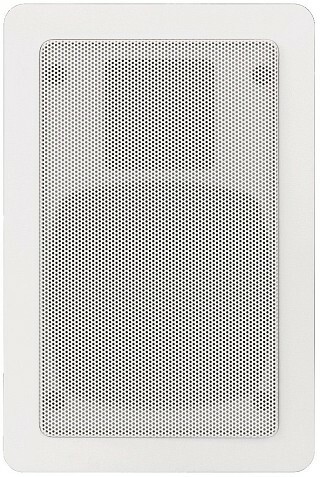 The ESP-130... speaker systems already provide a very pleasant and complete sound and yet, with a total depth of only 38 mm, they are of such a flat design, that they are just as unobtrusive on the wall as a flush-mount speaker. 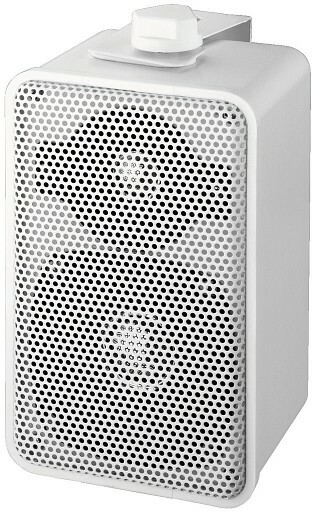 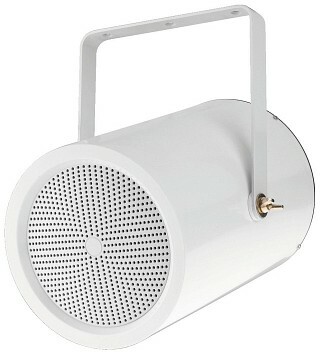 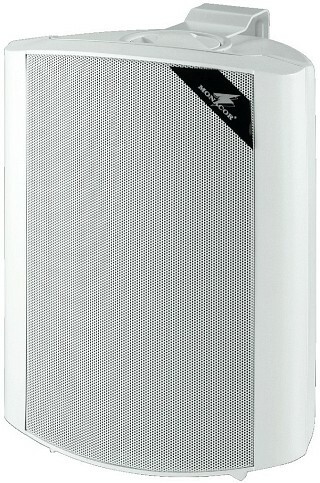 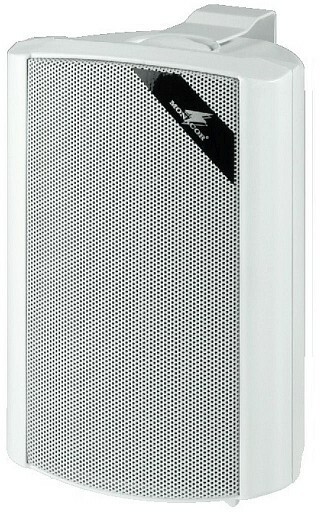 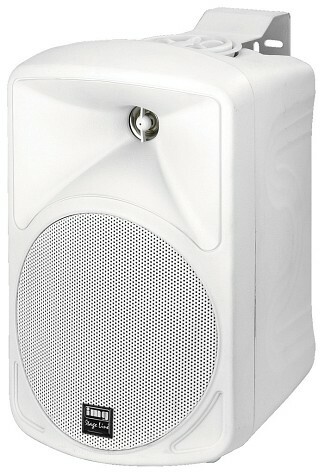 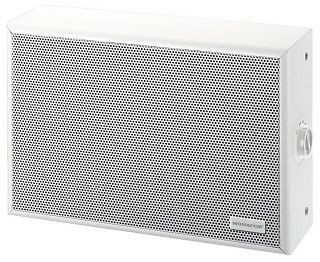 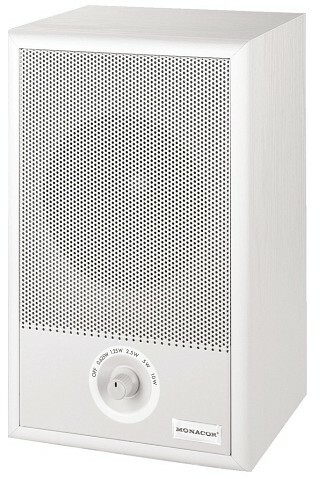 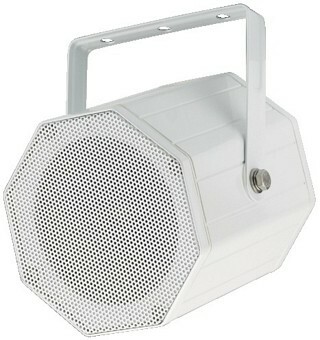 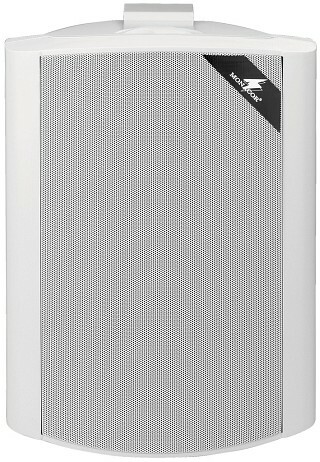 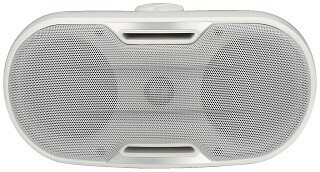 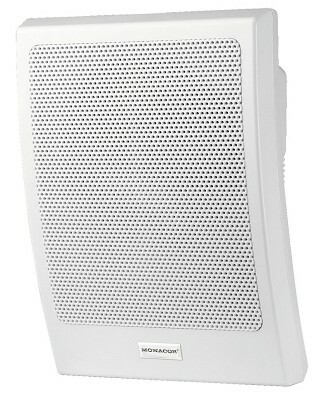 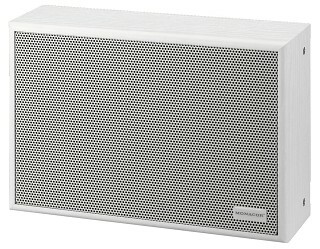 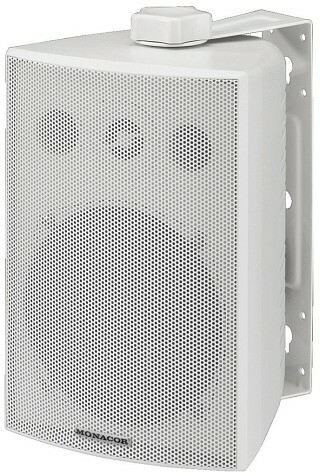 Enlarge Weatherproof PA speaker system, in a white plastic cabinet with protective aluminium grille. 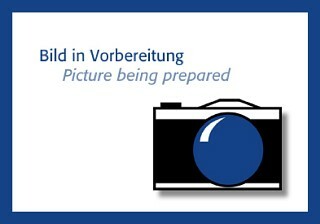 Other features: spring-load. 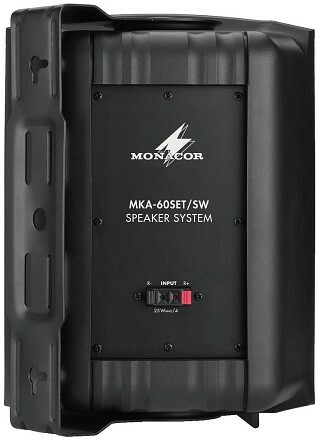 speaker term. 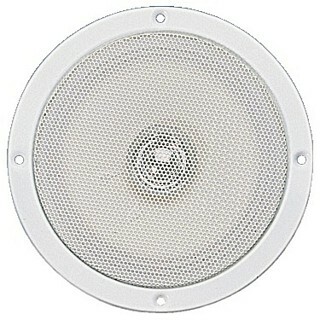 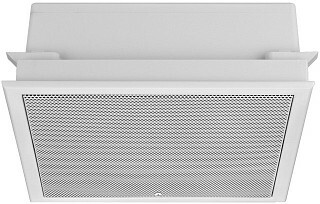 Enlarge Enlarge PA A/B wall and ceiling speaker, with EN 54-24 certification. 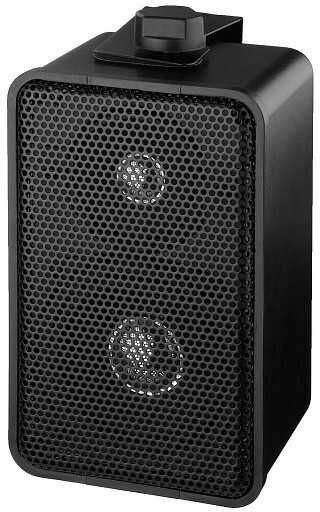 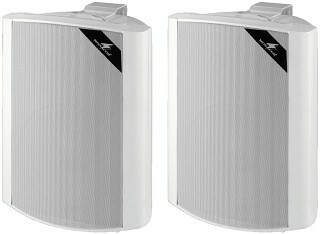 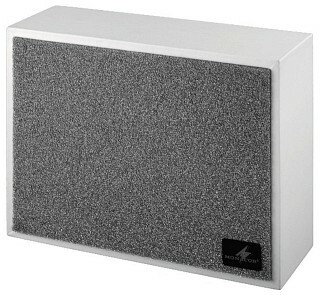 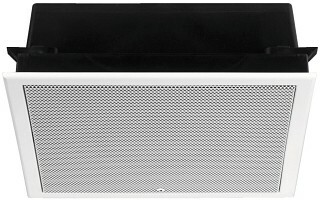 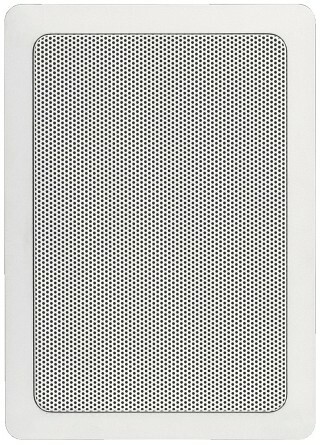 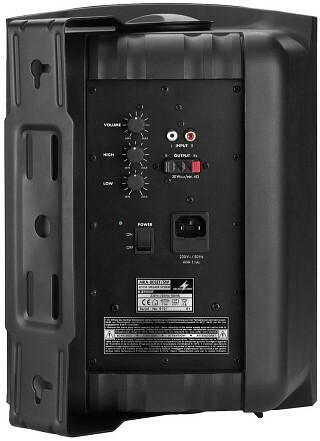 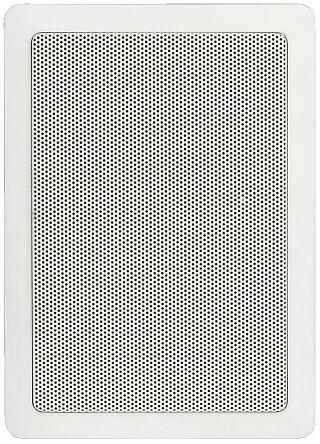 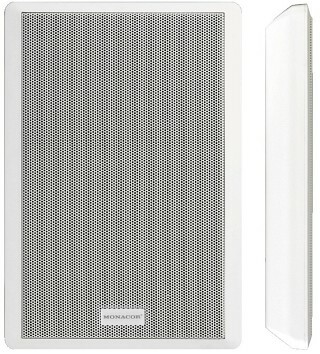 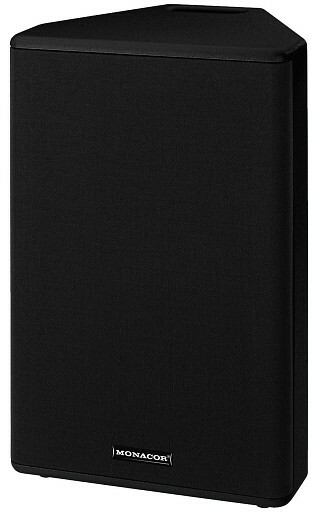 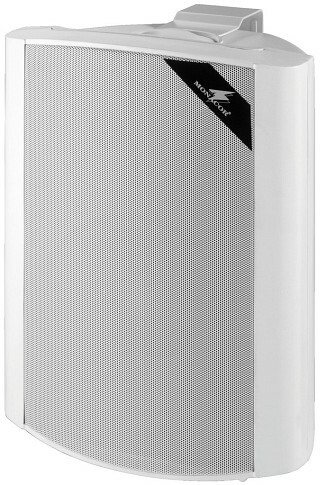 Enlarge PA wall speaker, with EN 54-24 certification. 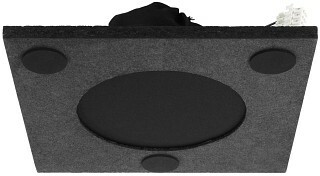 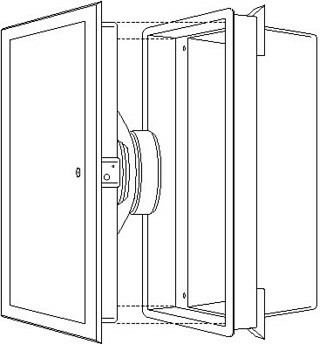 Enlarge PA A/B wall speaker, for systems with A/B speaker distribution according to EN 60849. 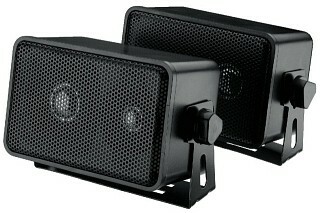 Enlarge PA wall speaker, vandal-resistant. 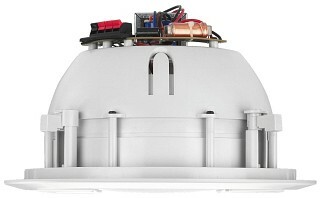 Controls on the left side of the cabinet. 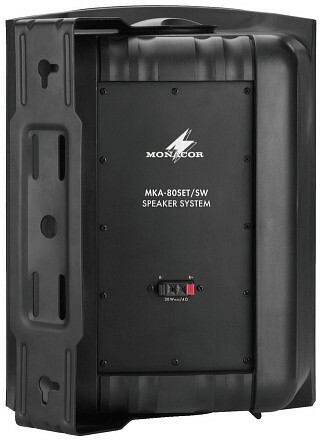 Enlarge Enlarge This series of speaker systems including subwoofer from MONACOR sets standards in the modern PA technology: high-quality lacquered cabinets of a perfect design, lightweight but robust and of high power capability, with an amazing sound and a high efficiency, the EUL-2... with professional 100 V technology. 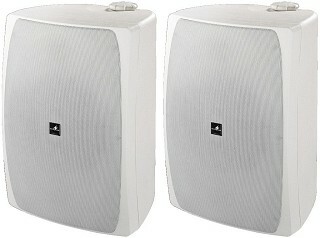 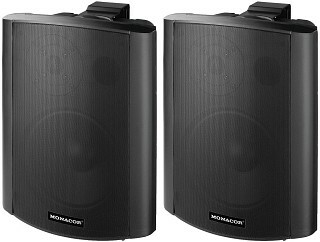 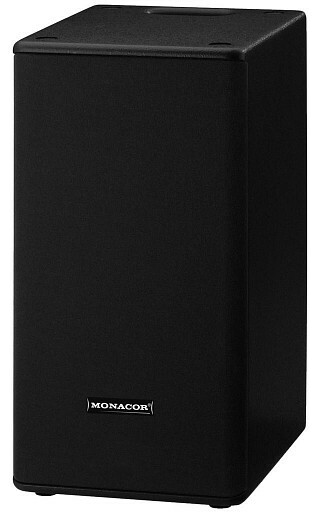 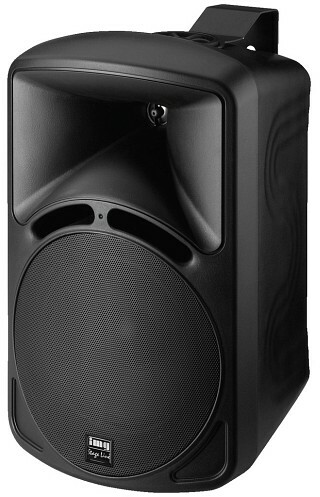 Real PA speaker systems for versatile applications at a very attractive price. 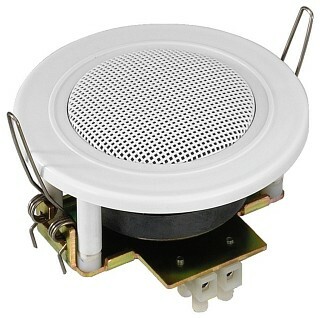 This speaker can be integrated into any existing or new 100 V system by simply connecting it in parallel, as long as the amplifier features the respective power reserves! 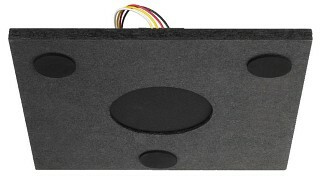 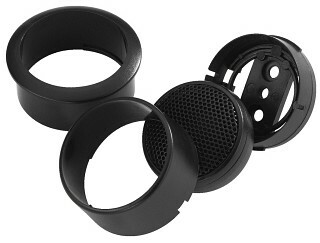 Matching adapter piece for speaker system PAST-28/SW is available at option. 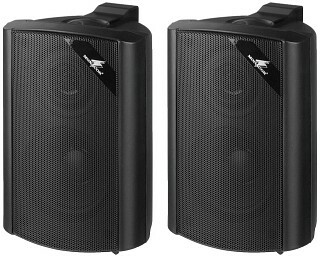 Enlarge Additional PA speakers. 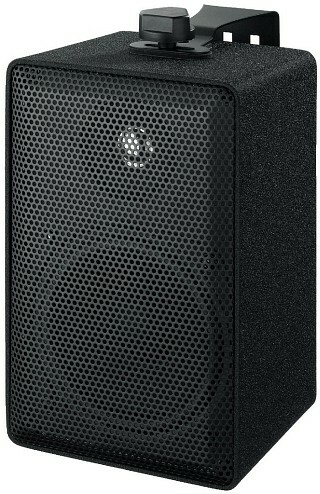 Speakers of particularly high-quality workmanship, suitable for PA applications of high requirements in adjoining areas, e.g. 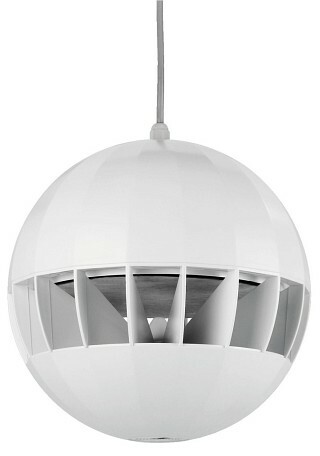 living area, but also for offices, practices and waiting rooms. 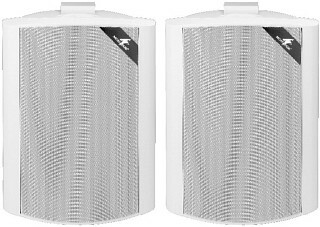 The speaker system provides an excellent sound due to the application of an efficient hi-fi full range speaker and sound-optimized filters. 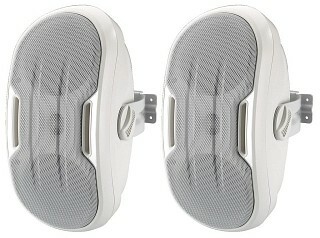 Enlarge Enlarge Pair of wall/ceiling/corner mount speaker systems, 30 WMAX, 8 Ω. 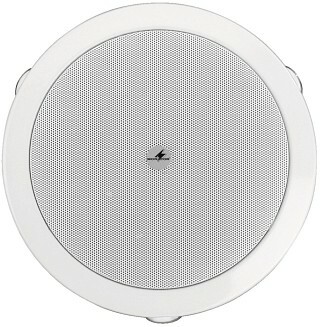 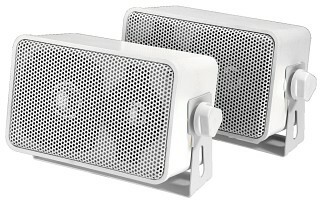 These really universally mountable speakers allow a perfect integration into most versatile indoor mounting positions. 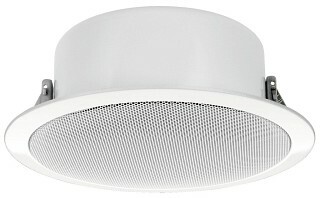 Interesting possibilities due to the optional creation of a cluster with 1-4 elements, from ceiling suspension in a corner to a hemisphere of wide radiation in the middle of the wall or ceiling. 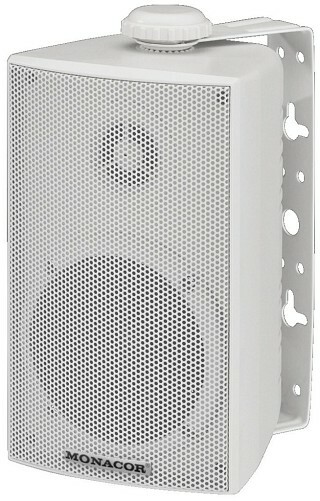 The sound of the pure white speakers is adjusted in such a precise way that it provides a complete sound of high quality, no matter in which position the speakers are placed. 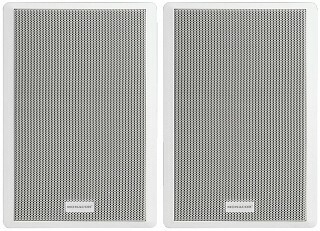 Enlarge State-of-the-art speaker systems of an appealing design with high-quality speaker technology: these new MKS speaker systems are suitable for all stationary PA applications where a powerful sound and outstanding level reserves are required. 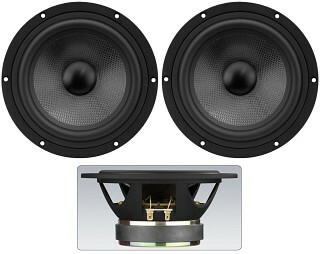 2-way speaker systems with ABS cabinet (bass-reflex) of modern design, 20 cm bass speaker and dome tweeter. 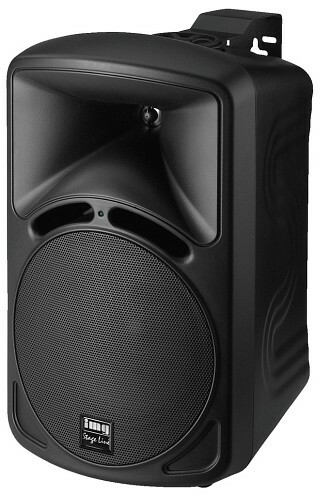 Both the sound with a very extended frequency response and the volume capability are absolutely convincing. 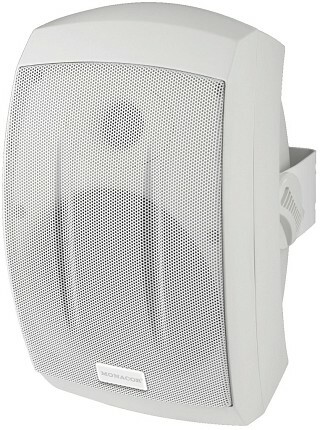 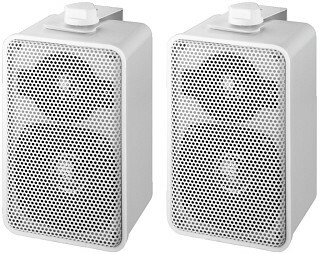 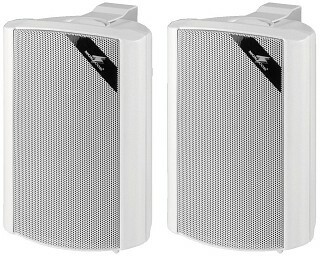 These speakers are valuable solutions for PA applications in function rooms or conference rooms, for presentations and on parties. 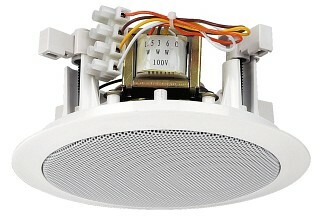 Supplied with mounting brackets for wall mounting. 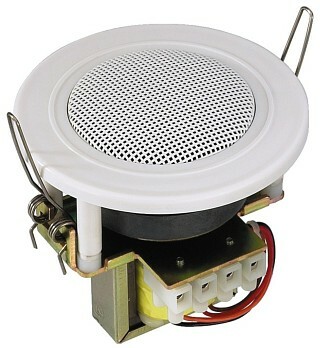 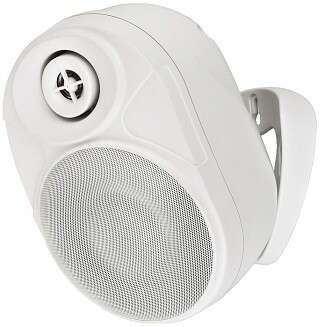 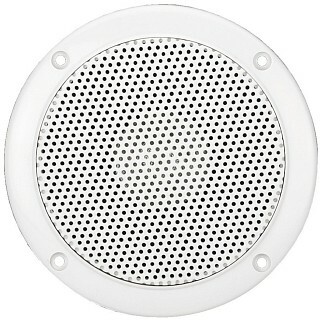 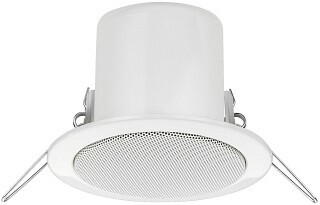 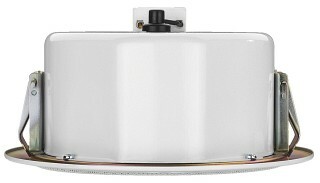 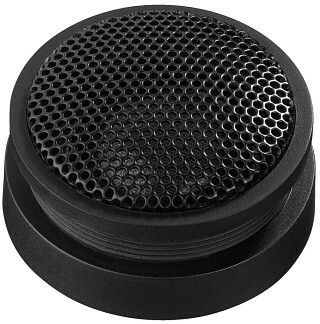 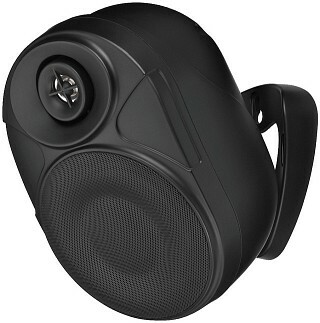 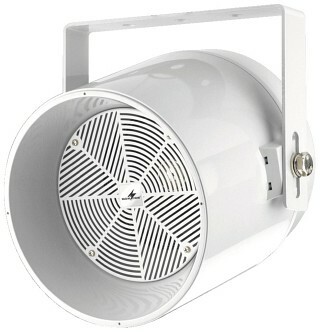 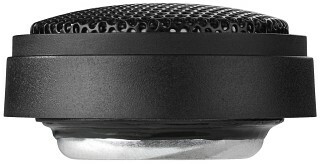 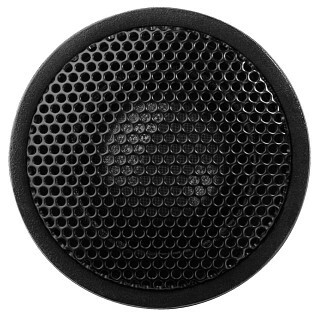 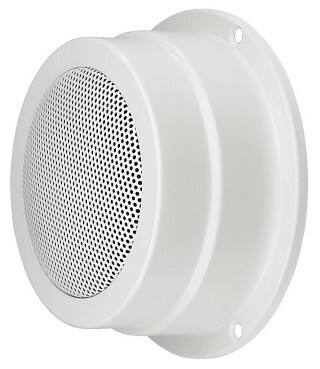 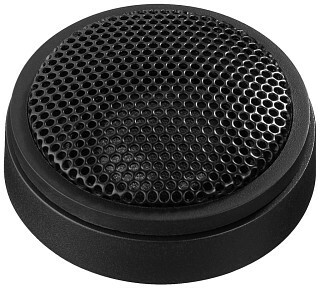 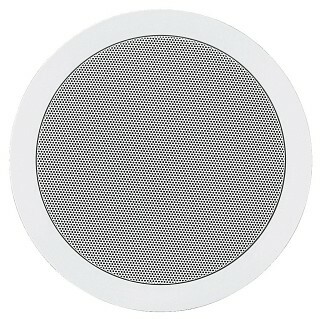 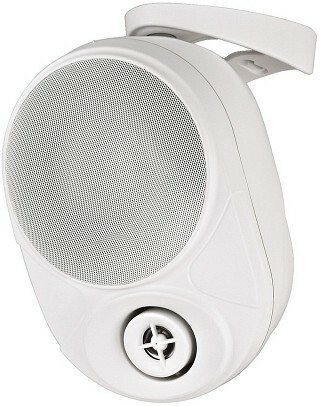 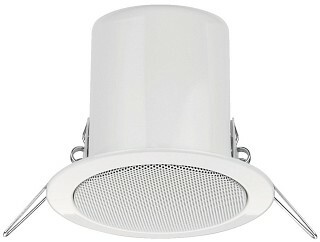 Enlarge Weatherproof flush-mount speaker, 30 WMAX, 4 Ω, heat-resistant up to 120 °C. 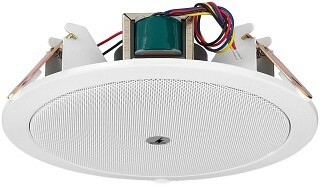 For saunas and swimming pool areas, as well as other areas where a reliable operation at high temperatures must be ensured. 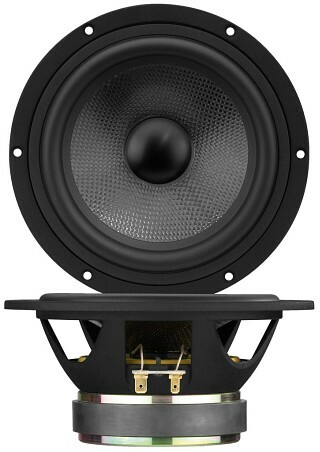 Enlarge Pair of flush-mount speakers, with dual cone, 8 Ω.
Enlarge Pair of flush-mount speakers, coaxial system, 8 Ω, tweeter with ferrofluid. 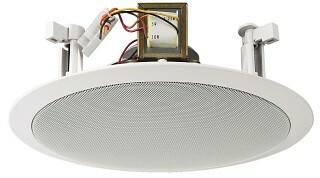 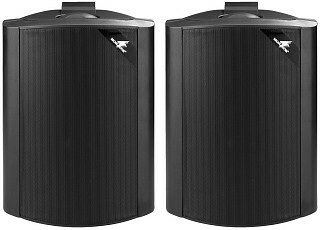 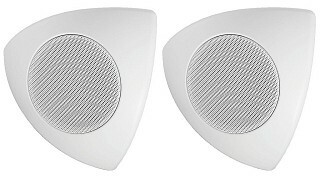 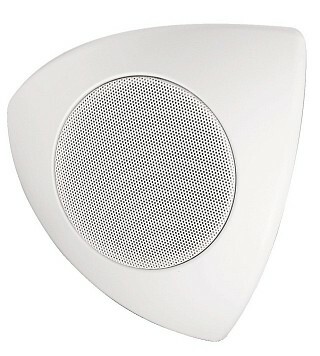 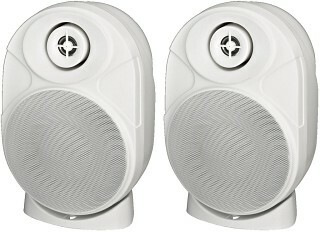 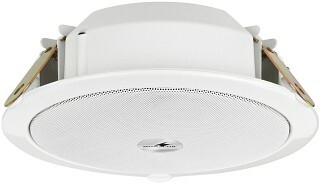 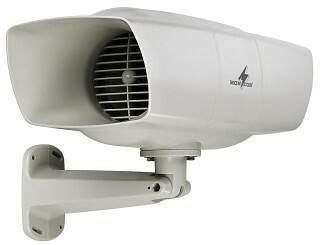 Enlarge Weatherproof pair of PA ceiling speakers, heat-resistant up to 100 °C. 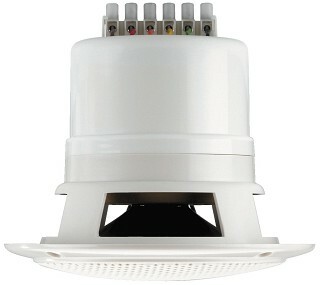 For applications in saunas and swimming pool areas. 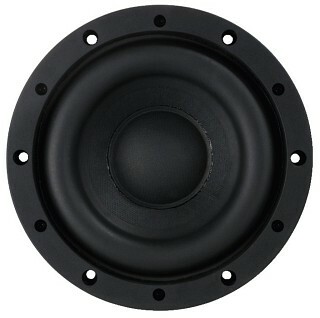 Enlarge Speaker system, 50 WMAX, 36 W RMS, 4 Ω, suitable for the portable amplifier system TXA-600/SW. 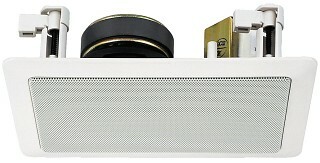 Matching speaker cables of the MSC series are available in lengths of 1.5, 3, 6, 10 and 15 m.